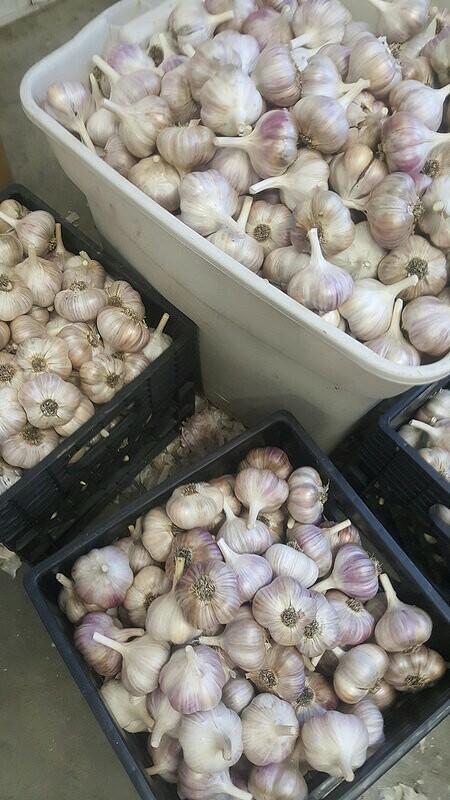 What a beautiful garlic crop this year! And most amazing, is that we can’t find any evidence of winter kill with the numbers planted, and the number harvested this year! We are packaging up orders and sending them out this week! We are pleased to announce the launch of our NEW and updated website here providing customers with a shopping cart! There is still work to do with it~~one being the order of other items of garlic powder and sweet garlic jelly, and pickled scapes, so if you do want to order those, fire me an email and we can arrange that too! We are selling out already on some of the gourmet varieties! Our main crop is Red Russian and Music. We do also grow 39 other varieties, and more coming! The gourment varieties don’t ALL grow to be huge bulbs (they are not all genetically meant to), but pack some awesome flavor! 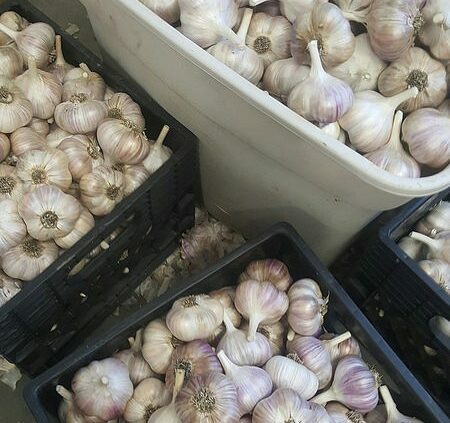 https://saskgarlic.ca/wp-content/uploads/2017/03/shared-a-Flickr-photo-with-you_1.jpg 800 450 saskgarlic https://saskgarlic.ca/wp-content/uploads/2017/03/logo-dark-2.png saskgarlic2017-09-05 12:39:002017-09-05 12:39:00Sept~~ Sending out orders! Aug 3 ~~Harvest has begun! Spring!